historian and former Shelby Mayor, who often expressed the wish that Shelby have a museum. 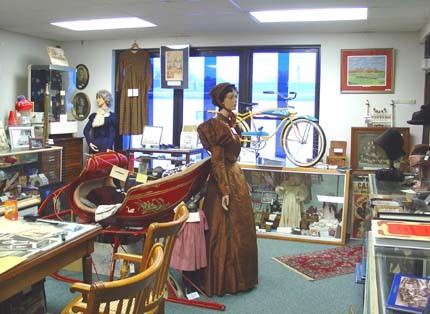 Mill Quester members saw the museum come to life. by the city of Shelby. Ronald and Janet Scheid, Zorada Bussom, and Corene Humphrey. 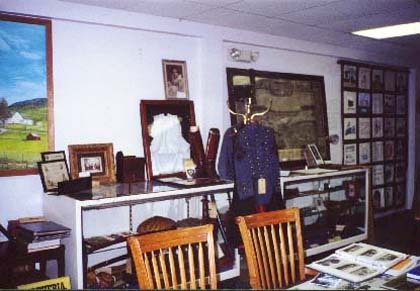 Volunteers serve as museum caretakers. 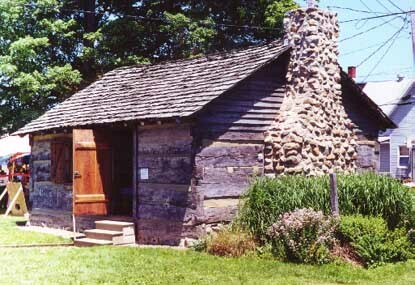 cabin was moved and restored in time for Shelby's Sesquicentennial celebration in 1984. 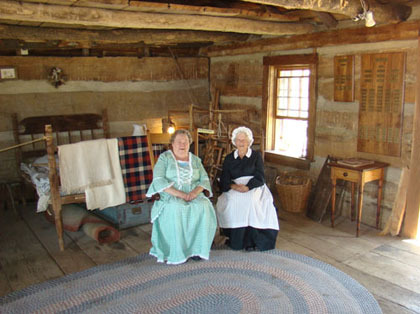 Life in Early Shelby (Log Cabin Interior) - as re-enacted for the Shelby Bicycle Days Festivities. except Mother's and Father's Days. 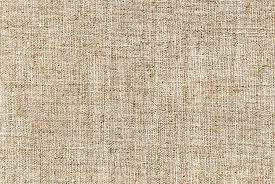 It is also open by appointment. Copyright &COPY; 1999 - 2018 - The Shelby Musuem Of History, Inc.